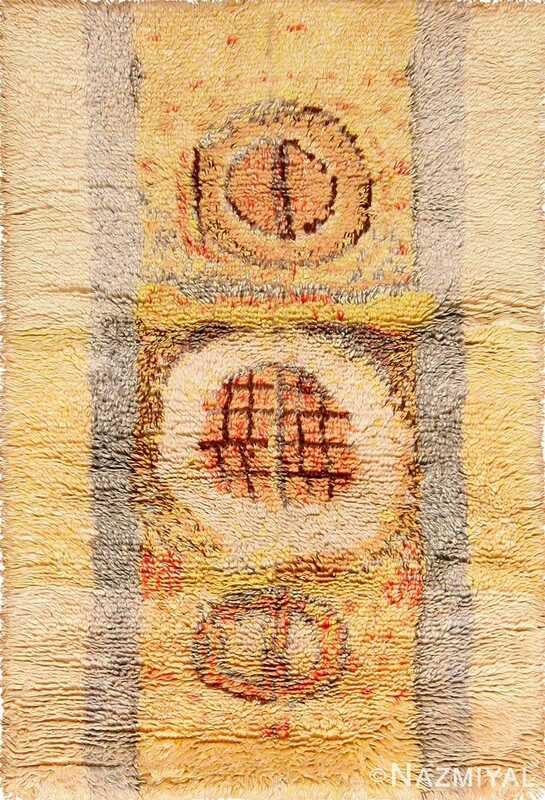 Animal Pelt Design Vintage Swedish Rya Rug, Country of Origin: Scandinavia, Circa Date: Mid 20th Century – Here is a unique and intriguing vintage carpet – a mid-twentieth century carpet, featuring an animal pelt design, woven in Scandinavia, at the height of that region’s most important carpet-producing period. 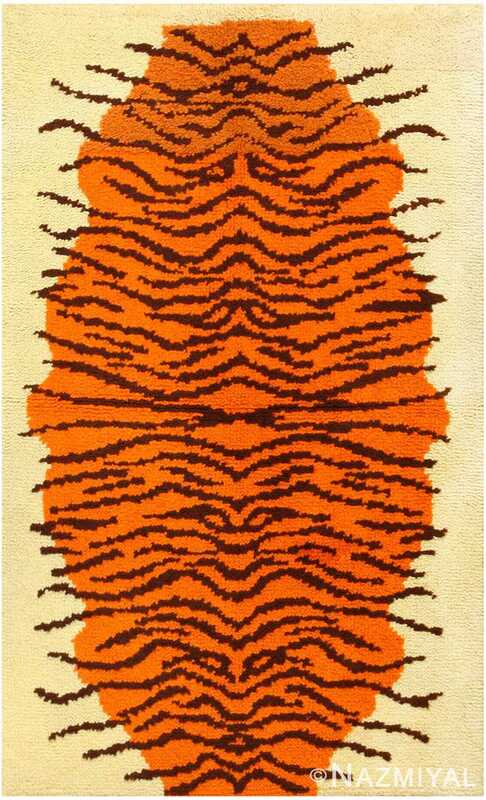 Wonderfully distinct, this vintage shag Swedish Rya carpet features an intriguing design consisting simply of a large orange figure set against a pale field, with eccentric horizontal stripes running across both. Perhaps what is most appealing about this carpet is this tantalizingly simple composition, which, despite its apparent simplicity, is suggestive of a myriad of different images and ideas. Perhaps the most apparent image being communicated is one of a tiger pelt – as deconstructed as it could be while still being able to communicate the concept. 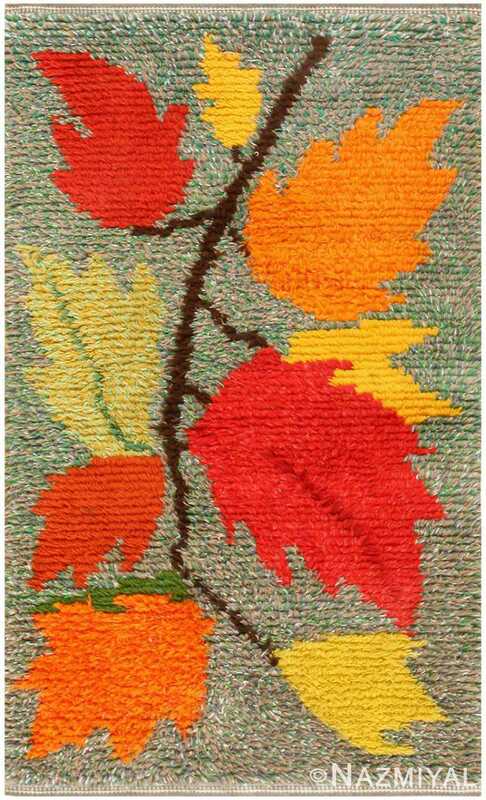 Of course, this is just one way to view this mid-century rug; the simple nature of its design leaves it gloriously open for interpretation, as is the nature of mid-century modern design. 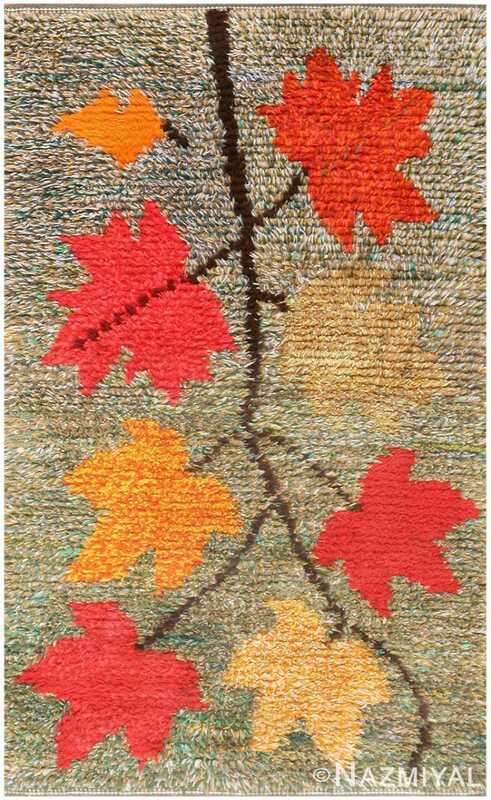 Quintessentially modern and beautifully composed, this vintage rug is an intriguing example.